5 B2B Chatbot Case Studies: Do Chatbots Increase Conversions? Chatbots were the biggest talking point in marketing last year, hyped up to be the next big thing about to shake up the entire industry. Except things haven’t really panned out that way in 2017 so far and people are starting to question whether the technology is ready to claim its place as a vital marketing channel. Sadly, this was always going to happen. When there’s so much hype surrounding a new technology, it always falls short of early expectations. It’s not because the technology itself is lacking, though. Instead, it’s got more to do with people jumping on the bandwagon and making a half-hearted or misguided effort to implement it. However, there are plenty of success stories from brand who develop bots with the right intentions. And, to prove the case, here are five B2B chatbots that are are generating new leads and increasing conversions. 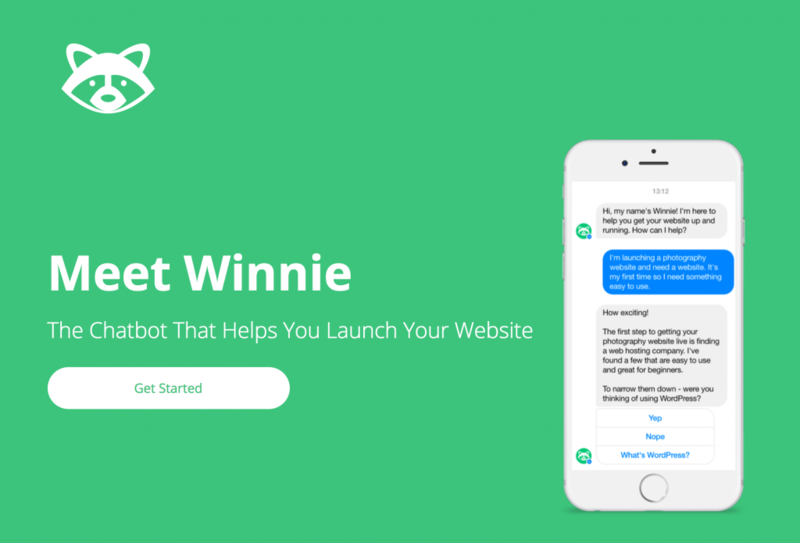 Winnie is a chatbot designed to help website owners make better choices about which hosting provider to go with. Getting the most suitable hosting provider and package for your needs can be one of the most frustrating things about getting a website up and running. Winne helps users narrow down their choices, based on the kind of website they’re setting, up and points them in the direction of suitable providers hosting packages. 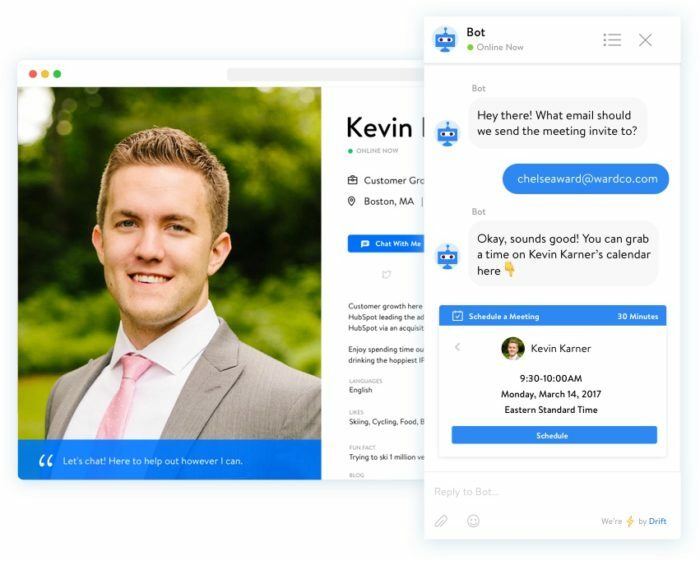 Since the bot first opened on Facebook Messenger, it has achieved an incredible 72% CTR of users clicking through to an affiliate hosting provider. RapidMiner elected Leadbot – a “sales assistant” developed by Drift – to cater for their chatbot needs. Visitors are greeted by the very friendly MarlaBot, who gets the conversation rolling a matter of moments after you land on the company’s website. However, MarlaBot isn’t alone. RapidMiner sales staff are brought into the loop as soon as Marla gets an answer, at which point they start monitoring the conversation to see where they should to jump in. Meanwhile, Marla is collecting all the data she needs from her interactions to build a more relevant experience for each user. Mr Wentworth says the bot, in many cases, is capable handling the entire conversation by itself and people regularly thank the Marla when they’re done. There’s a lot of talk about the ability of chatbots to hold meaningful conversations with users, but RapidMiner and Leadbot show its a question of how you implement the technology into the buying journey. Instant Translator was originally built as a demo to show corporate folk what chatbots are capable of. Despite its modest intentions, it soon became the biggest translation bot on Facebook with more than a million users. Why? Because the team behind it focused on creating the best platform they possibly could for the people using Instant Translator. Back then, it was only capable of translating from English to Arabic and Arabic to English. However, Instant Translator now supports 19 languages and it’s not done yet. The bot is available on Facebook Messenger and Viber with more than 600k active monthly users. It now translates around 300k sentences every day, which isn’t bad for a bot that started out as a demo. After promoting the demo with a $20 boosted post in some Arabic-speaking countries, Instant Translate quickly went viral and the rest is history. An incredibly simple platform that makes a constant effort to expand and improve for its users now has enough momentum to grow sustainably. Extreme easiness: The bot didn’t have a flow. It only does translating and it doesn’t fail at that job because all of the code is written to handle a lot of failures which ensures it always replies to the user. Listening to your users: We always hear our users. We add more languages when they ask, we improve the speed if they say the translation is slow, and most importantly, the bot has extreme alerts to detect any major failures, which gives the bot a 99% up-time. Answer all users: We answer every user question, we help every user and we check Facebook reviews. The users feel important and very thankful when you answer their questions within the page. Videos: Show your users how to use their bot. Make their lives easier. Not a lot of users understand everything. Even when you tell them “Send a message to the page,” you have to explain to them how to do it. As you can see, users are the driving force behind every change made to Instant Translation and the bot has completely transformed itself, one improvement at a time. RewardStream also took the Leadbot approach and it accounted for 30% of their converted leads in the first 45 days. Yikes. Now RewardStream builds platforms that help companies encourage their existing customers to refer friends – mostly for enterprise businesses. The software company was doing everything right on the digital marketing front: generating traffic, engaging content, effective paid advertising and a solid email marketing strategy. Great stuff. Except there was a problem: RewardStream wasn’t converting enough of those leads into customers. So the company decided to invest in a chatbot that would engage with those visitors at the opportune moment. 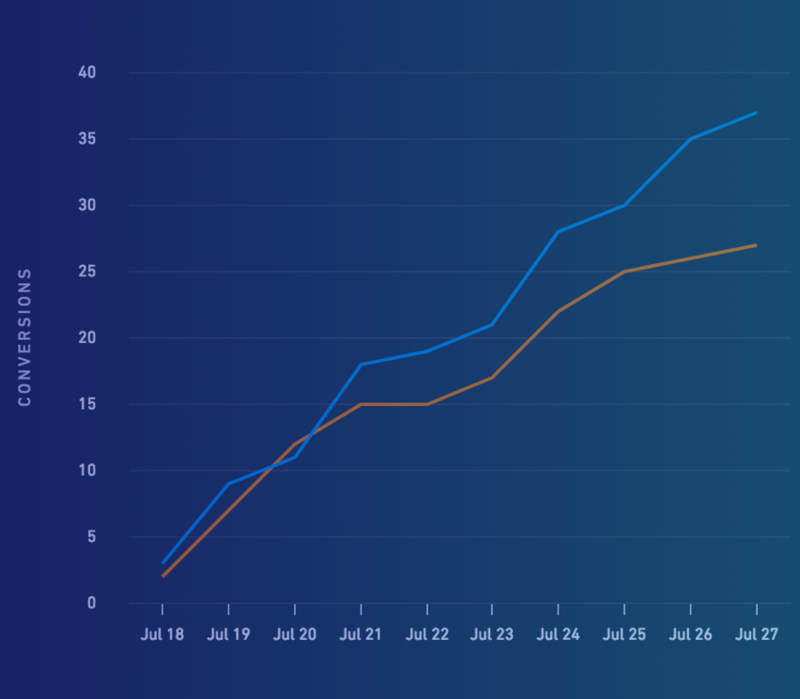 And the company found its new Leadbot steadily converted a higher number of leads as the days rolled by – reaching an impressive 30% of all conversions with the first month and a half. In fairness, this bot doesn’t really fit into the B2B or B2C backets, but it’s a perfect example of how to design a simple bot that captures attention. MyWorkout aims to make working out easier and more accessible to everyone by taking users through each step with instructions and custom illustrations. It’s a simple enough idea but the conversation design and visual content really turn this basic concept into something truly engaging. The team behind MyWorkout don’t waste time trying to impress people with intelligent or witty comebacks. Instead, they focus on giving users what they want within a couple of clicks. By focusing on the experience rather than their own egos in the design and development of MyWorkout, Günther Matzinger and the other guys behind the bot saw “overnight success” after releasing it on Facebook Messenger. Why are most B2B chatbots underperforming? It’s true that chatbots aren’t living up to the hype they generated last year but this has more to do with how designers and developers are creating them than the technology itself. Chatbots have all the potential to change the way people interact with brands and buy products online but this won’t happen until more bots are created with the goal of solving user problems. The majority of bots being developed right now try to be too clever or impress users. Except nobody really cares how “smart” your chatbot is; they just want to enjoy a better buying experience. So forget the flashy features and get back to basics with UX design, becasue this is where the best B2B chatbots excel. The only bots that fail are the ones that add nothing valuable to the consumer exprience – and this sadly counts for the majority of them at the moment. This tends to happen with new technologies: brands get all bright-eyed by the promise of new marketing trends and approach them from the wrong angle. Yes, chatbots can drastically improve conversion rates – if you build a bot that removes conversion barriers. On the other hand, building one for the sake of it, or without knowing what experience you’re trying to improve, will only waste valuable time and money.